When you think Kona, you probably think coffee. In many ways, it’s that rich reputation and long-standing tradition that make Hawaii’s coffee professionals so passionate, though you’ll find passion for exceptional coffee not just in Kona but throughout the state — on Kauai, Maui, Oahu, Molokai and other islands, and in the other growing regions of the big island, including Kau and Hamakua. Hawaii is the only coffee-growing region in the United States, and the people who make up the state’s coffee industry — including farmers, processors, roasters and others — are clearly committed to maintaining their status as one of the world’s most sought-after origins. 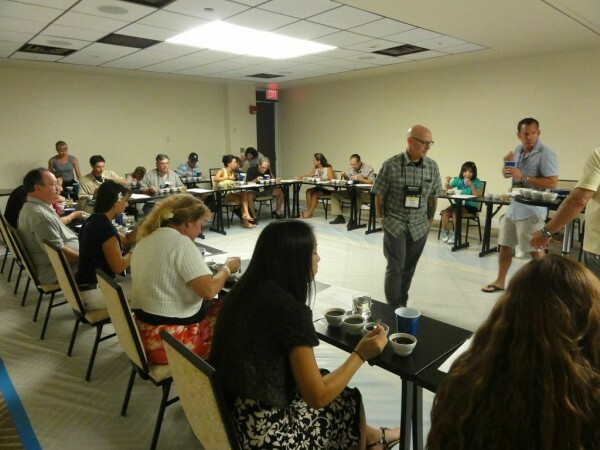 In July, Hawaii’s coffee community gathered at the Sheraton Kona Resort & Spa for the Hawaii Coffee Association’s (HCA) 19th Annual Conference and Trade Show. The four-day event featured information sessions, a cupping workshop, farm tours, and a first-of-its-kind “buy local” festival for the public, along with spectacular tropical views and entertainment. The festivities opened with an evening reception overlooking Keauhou Bay, where the majestic manta rays put on a show most evenings. The next day, an impressive slate of speakers delivered a wealth of information and resources for the state’s coffee professionals. Hawaii’s coffee producers range from large growing operations and processing plants to small family farms — the average coffee farm in Kona is five acres, which means many are significantly smaller — but with close to 95 percent of the state’s coffee farming acreage represented by HCA members, the organization’s leadership works hard to further the interests of the entire coffee community. Conference speakers covered topics ranging from legislative accomplishments, regulation changes and packaging options to how Hawaii’s coffee industry can proactively prepare for the potential invasion of coffee rust. Researchers have been working on rust-resistant hybrids using the most popular Hawaiian varieties since 1999, hoping to achieve rust resistance without compromising cupping quality. During the conference, Chifumi Nagai, Ph.D., a senior research scientist with the Hawaii Agriculture Research Center, projected that the first viable rust-resistant hybrids would be available in 2017. The coffee berry borer (CBB) also continues to be a major topic of concern for the state’s coffee industry. While CBB has been reported on only one Hawaiian island — the big island of Hawaii — the current crisis in Kona and Kau and the threat that it could spread to other islands makes the issue a top priority for the entire state. The good news is, a fungus available under the brand name BotaniGard has been proven to significantly reduce the prevalence of CBB when applied regularly, and researchers at the University of Hawaii’s College of Tropical Agriculture & Human Resources are working to identify additional methods of combatting the pest. This year’s event also featured the sixth annual HCA Cupping Competition, with nearly 90 entries from around the state. Winners were selected from each of Hawaii’s eight state-certified coffee-growing districts, and the top ten statewide were awarded in commercial and creative categories. (You can find a list of winners along with all the scores above 80 here). The judging panel also presented a cupping workshop during the conference, explaining the SCAA’s scoring system and guiding participants in evaluating three of the top entries—plus one with noticeable defects. 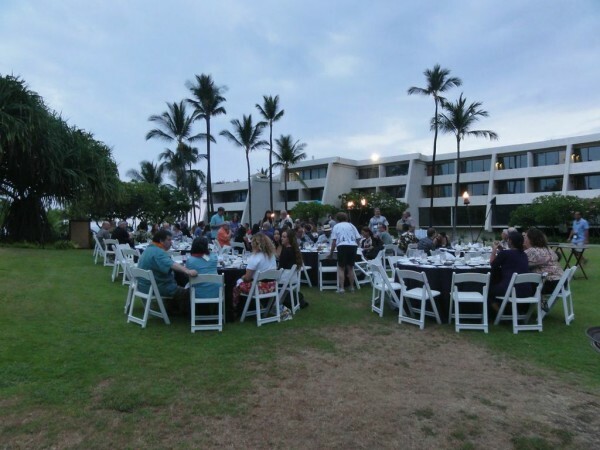 Two highlights of this year’s conference were the debut of Roast & Roots, a day-long celebration of Hawaiian farming, cooking, music and more; and a tour of Kona coffee farms and mills. It’s hard to imagine a more idyllic setting than the Sheraton Kona and the island of Hawaii. From the opening reception overlooking Keauhou Bay to a festive dinner on the hotel’s luau grounds to the Roast & Roots celebration of local products and culture to the tour of Kona coffee farms, the event delivered an informational and entertaining weekend for coffee professionals and enthusiasts alike. Hawaii’s coffee community welcomed visitors from as far as Toronto, Canada, and Atlanta, Georgia, among many other places, graciously sharing their passion for exceptional U.S.-grown coffee along with the “Aloha spirit” of the islands. 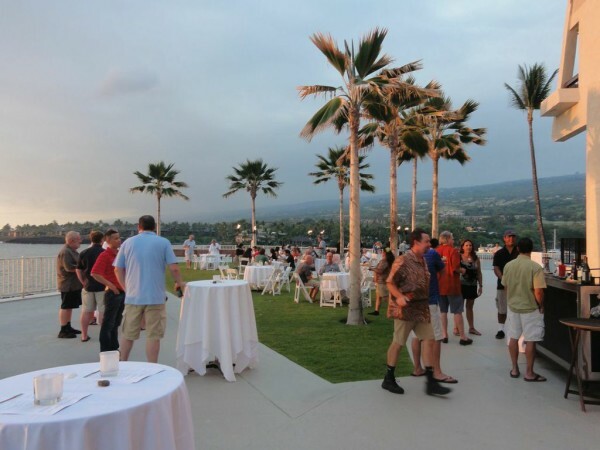 The HCA’s 20th annual conference and trade show will be held in July 2015, again on the big island of Hawaii, with an expanded Roast & Roots celebration open to all. Find out more atwww.hawaiicoffeeassoc.org. "Coffee has become big business in Hawaii. Eleven regions on five islands house some 830 farms statewide. This is great for our economy, and it’s even better for our tastebuds. The diversity of farms and locations translates into a tantalizing cornucopia of experiences for our collective palate." Shawn Steiman, Ph.D. (2009), Author of Coffee: A Comprehensive Guide to the Bean, the Beverage, and the Industry.